The following is a script commissioned by Queen Fyora herself due to citizen popular demand to provide some lighthearted Christmas merriment as a distraction from the war against the Wraiths. There had previously been limited success in Christmas-themed plays featuring Hanso and Brynn, and—while originally cancelled after only two episodes due to disagreements between the show’s hosts and producers—a new contract was reached for this year, allowing the darlings of The Faeries’ Ruin to again return to the stage in Fyora’s Tower. Thus, the "Faerieland Acting Club Representing Years 16-19," with new title sponsor "The Faerieland Craft Council," present, "A Brynnso Christmas Special 3!" Set: A holiday-decorated log-cabin style Neohome decked out in multiple colors of garland and tinsel. A wall is missing, allowing an audience to peer in. There is a door to the left, for guests to enter and exit. A fireplace sits off to the center-left, its immersive and enthralling glow entertaining the viewers, making them feel the warmth even as they watch from a distance. Atop the mantle are a collection of pine-needles, a few Christmas cards, and some neggnog. Off to the other side sits a grandiose Christmas tree, covered in decorations from the star at the top to the trunk at the bottom. There are various presents at the base of it. Lights adorning it glow in a most intriguing manner. On the right wall there is a window, snow falling on the other side, making the warmth inside feel all the more cozy. Christmas-themed music plays as an introduction. The door opens. Inside walks Brynn. Brynn: (excitedly) Hiya everyone! It’s good to be back on set yet again, for A Brynnso Christmas Special 3! Brynn: As you may not know—but you probably know—my name is Brynn! Don’t let that outdoor chill nip at your nose, fingers, or other varying appendages. Seriously, don’t, that one’s on you. But we’ve got your head covered—literally! Check under your seats for a new winter hat, warm and fluffy, courtesy of The Faerieland Craft Council! Brynn: (excitedly) Now, who could that be? She opens the door. Hanso is revealed, sporting a winter hat courtesy of The Faerieland Craft Council. Hanso: (charismatic) Speaking of warm and fluffy, here I am! Brynn pulls Hanso in for a hug. Hanso: (inquisitively) So who’s fluffier, me or the hat? Brynn gives him a smirking look and goes to close to the door. Immediately, there is a knocking at the door. Hanso: (excitedly) Was that a knock on the door? Hanso goes to open the door. Kaia is revealed. Brynn: (warmly) Kaia, it’s so good to meet you! We’ve all heard such wonderful things about what you’re doing for Faerieland and Queen Fyora! Kaia lets out of a sigh of relief. Kaia: Oh, I’m so glad you think they’re wonderful! Hanso: (confused) What do mean? Did you think we wouldn’t think saving Neopia is wonderful? Kaia: (meekly) I was a bit nervous you might be sad that I had taken Faerieland’s spotlight away from you and onto me. Hanso: (matter-of-factly) Are you kidding? It’s just less work for the two of us! Brynn: So, what kinds of things are you up to, Kaia? Aside from the battling? Hanso: (concentrating) Yeah, what makes a Kaia tick? Kaia: (sheepishly) Well, the other day, I went to the Grooming Parlour for toothpaste, but I slipped due to a bottle of spilled mouthwash—I hadn’t taken note of the caution sign—and ended up breaking two compacts and getting a comb stuck to my ear. Hanso: (trying to suppress his laughter) And I thought my clumsiness was bad! Brynn shoots Hanso a disapproving look. Brynn: (happily) Well, that aside, we have a gift for you! Kaia: (grinning) Really, for me?!? Hanso: (alluringly) But first, you have to do some amazing feat for us! Brynn: (jestingly) And don’t worry, it doesn’t have to involve showing off your moves in Faerie Bubbles. Kaia grins as she has an idea. Kaia: OK, how about I read your minds! Brynn: (grinning) Now that sounds exciting! Kaia closes her eyes, opening them a few seconds later. She turns toward Brynn. Kaia: (matter-of-factly) There’s really not much to say, Brynn. You’re thinking how happy you are to be on this holiday romp, surrounded by Hanso, the audience, and the warmth and glow of Christmas… all sponsored by The Faerieland Craft Council. Brynn: (happily) Well… Yeah, I am pretty happy to be here. Kaia closes her eyes, but starts giggling. She opens her eyes and whispers something to Brynn, who starts giggling too. Brynn: (blushingly) Hanso! Don’t think about that on set! She playfully slaps his arm. Hanso turns and looks at the audience. Hanso: (confused) What did I do? Kaia and Brynn in Chorus: *sigh* Oh, Hanso! Kaia: (matter-of-factly) I also received many signals from the audience asking me to sing. As I don’t think that’ll end with me being hurt, I will oblige! Kaia: (in a soft alto with a minor melody) Oh here I am on set with Brynn and Hanso / In Faerieland, what a dream come true! / It’s days like these I dreamed of fast asleep in Shenkuu / Immersed in friends and revelry and glow! Brynn: You have an amazing voice! Kaia: (flattered) Why thank you! Hanso retrieves Kaia’s present from beneath the tree. It is covered in The Faeries’ Ruin themed wrapping paper. Hanso: (matter-of-factly) See, Brynn wanted to get you something practical, like a sweater. But I told her you’re from the mountains, you’re used to the cold. Brynn: (a touch annoyed) Hanso, I thought we WERE going with the sweater idea. Hanso: (hysterical) Nope! I thought last minute to switch it out for a bunch of random scraps from my notepad and Brynn’s diary, because I know how much you love deciphering stuff from cryptic paper messages! Brynn: (gawking) You tore up my diary?!? He pulls the lid off the present to reveal a sweater. Hanso: (cooly) I pulled a DOUBLE twist! It was the sweater all along! Kaia lifts the sweater out of the box. It has a Brynn patch on one sleeve and a Hanso patch on the other, and some Brynnso quotes stitched across the front. On the back is the emblem of The Faerieland Craft Council, with a wraith stitched underneath. Kaia: (excitedly) This is so cool, guys! Thank you! Hanso and Brynn in Chorus: You’re welcome! Kaia: Well, it’s been a blast, but it’s time I head back to the battle front. Thanks Brynnso, thanks audience! Kaia exits. Hanso goes and closes the door. Brynn: Well that was nice! Brynn goes to open it. Osiri: (a bit drawling) Brynn, baby, you’re lookin’ fine as ever! Glad to see you’re survivin’! Brynn grins and hugs Osiri. Brynn: (excitedly) Osiri, I haven’t seen you in forever! Hanso: (jealous) Hey, I haven’t seen Osiri in forever, either. Osiri: (sassily) Yeah, last time I saw you, I caught you trying to thieve a dozen of my Lily Bowls! Hanso: (pleadingly) Come on Osiri, I’ve turned over a new leaf! Even she thinks so! Hanso points at Brynn, who waves awkwardly. Osiri frowns, but then smiles. Osiri: OK, Hanso, I’ll give you another chance. Especially since ol’ Brynnie over there’s taken a fancy to ya’. Hanso: (curiously) So how’s Jazan doing lately? Did he get a haircut and real job yet? Osiri: I suppose some things never change. Osiri: (interrupting) Yeah, and you want me to do some death defying feat first, right? Hanso pauses and just nods his head quickly. Osiri: (annoyed) Before I was invited to this gig, I tried spinning some of my trademark black plates on those long poles, like in the circuses. But they fell and crashed into smithereens! Hanso: (emphatically) I suppose you could say—your expectations were SHATTERED! Off-stage, the characteristic "Ba-dum-tiss" from the drums is heard. Hanso: Haha, shout out to our band! Band Leader Offstage: (shouting) Thanks Hanso! Hanso: (confused) Band? No, I meant… banned. Band Leader Offstage: (shouting) Banned? Hanso: Er… Yeah, banned. As in frozen. Because it’s really… cold out right now. Hanso grins at the audience. The band plays some brass rift suggesting Hanso’s joke was a complete failure. Hanso: (discouraged) Aw man, I worked on that band bit for two weeks! Brynn retrieves the present from underneath the tree. It is wrapped in desert print, with Hanso and Brynn’s faces scattered throughout. Brynn: Hanso’s lack of humour aside, I think it’s about time you showed us something cool Osiri! Osiri: (bemusedly) Alright, Brynnie, for you. Osiri takes out two plates and two long rods, and attempts to spin the plates on the rods. She is actually balancing them as they spin. The plates come crashing down. One breaks into several large pieces, but the other doesn’t shatter. Osiri: (annoyed) Drat, I thought those were both shatter-proof. A Moehog comes on stage with a broom. Moehog: I’m James the Intern. James waves to the crowd. James: (matter-of-factly) I ensure the smallest details of the show run smoothly. Hanso: (filled with his brand of charismatic innocence) Oh, like when the catering table runs out of those little sandwiches, you ensure there are more? James just glares and Hanso. James: (semi-sarcastically) Yeah, like that. Hanso: (positive) Keep up the great work James! Brynn: Thanks for clearing that plate James! Osiri: (relieved) Good thing that Moehog caused enough comic relief I didn’t have to sing to get me out of that awkward situation! James from offstage: (shouting) Want me to put the plate shards back? Osiri sighs as the band starts playing a piano intro. Osiri: (in a husky tenor) Oh, I broke the plate / I guess it was fate / You can’t have a Christmas / With everything great / But I appreciate / The fun times! / Like pottery and Brynn / Revelry is top rate! The band plays a piano interlude. Osiri: (alto, in a higher key) It’s more fun to be here / Than spending time alone / And I’d stay clear / Of an empty Christmas home! / Because it’s the cheer / That this holiday doth bless! / And Hanso’s OK too… I guess! The piano plays some ending chords, accompanied by some percussion. Brynn: (happily) That was great, Osiri! Hanso: (a touch bitter) Yeah, thanks Osiri… I guess. Brynn opens the gift to reveal a commemorative Brynnso Christmas Special 3 Sponsored by the Faerieland Craft Council Commemorative Pottery Plate. Osiri picks it up and inspects it. On the back is a short comic featuring Hanso insulting Jazan on his hair. Osiri: (merrily) Not bad! Not near my quality, but this’ll be a nice mantelpiece nonetheless! Osiri: Well, it’s about time I get goin’ back to my shop. Seasonal sales and all that—I can’t let Peopatra outsell me while my guard is down! Osiri: Bye Brynnie! Bye audience! Bye Hanso. Brynn: Thanks for coming, Osiri! Hanso: (a little reserved) Thanks, Osiri. Osiri: (smugly) Oh, don’t be like that Hanso, you and I are on good terms. Just take care of ol’ Brynnie. Osiri gives Hanso a girlish wave and leaves. Hanso goes to shut the door. Hanso: I don’t think she likes me. Brynn: (reflectively) I know she likes you! She’s just a little hesitant because you stole me away from our little group of girls. But don’t forget—you did get the girl. Hanso: (surprised) Who could it be NOW? Hanso opens the door. The Oracle is revealed, wearing a Santa hat. Hanso: (excitedly) The Oracle herself?!? The Oracle: (majestically) I foresee holiday programming with big laughs but average ratings! Brynn: (matter-of-factly) So, earlier we had Kaia on the show, and she also has some clairvoyant ability. Would you say your powers are greater than hers? The Oracle almost does a double take, but then just starts laughing. The Oracle: Of course! I have existed since the dawn of Neopia, and have the power to see across entire universes and affect the outcomes of events as I so desire… Kaia was born in Shenkuu and can’t see a Wet Floor sign. Kaia from offstage: (shouting) I take mild offense to that! Brynn: So, Oracle, can you show us some amazing feat? The Oracle: (faux annoyed) What, creating six new avatars isn’t amazing enough? Hanso: (excitedly) Well, Kaia read our minds earlier, wanna give that a go? The Oracle: (a bit snootily) Read your minds? That’s a bit trivial, isn’t it? Brynn: (frowning) Well, what else can you do? 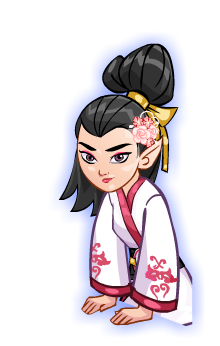 Hanso: (more excitedly) Can you create a new boon where a Neopet can be Hanso for a day? The Oracle: (sagely) If everyone could be Hanso, no one would be Hanso. The Oracle: (comically) Also, with that many Hansos around, more than a few Neopians would totally lose their minds. Brynn: (adorably) Yeah Hanso, how would I know which Hanso was mine? Hanso shrugs and sort of blushes. Hanso: (filled with his brand of charismatic innocence) Because… I’m the warmest and fluffiest Hanso of all? Hanso shoots a charismatic grin at the audience. Brynn: (curiously) Anyway, Oracle, what do you foresee Christmas around the Obelisk will be like this year? The Oracle: (excitedly grinning) I was hoping you’d ask me that… Let me tell you! The band starts playing an upbeat melody with high syncopation in the brass, and generally marked notes. The Oracle: (in a high tenor with heavy vibrato) Oh I don’t need the ghost of Christmas Future / To tell me how my holiday will be / I have the pow'r and might to see / The Obelisk dressed like a Christmas tree! The band transitions to a softer, warmer texture, heavy with strings and piano. The Oracle sways to the melody. The Oracle: (almost speaking rather than singing) Rasala and the Duchess / Are sharing mirthful ruckus. The band does a piano flourish while The Oracle spins around. The Oracle: (now going to a mid-high alto with dynamics and notes crescendoing upward, her notes sustained with warm vibrato) No Pride, Greed, Wrath, Death, Envy, Apathy! The band returns to its punchy initial theme. The Oracle laughs. The Oracle: (merrily in high tenor, with the tempo steadily increasing) Oh, I don't need the Ghost of Christmas Future / To tell me that the Brutes and Kanrik dance! / That there'll be peace throughout the land! / For me, I see this all in a quick glance! The band does a flourish and outro while The Oracle giggles with delight. Hanso: (excitedly) That was amazing, Oracle! Your gift is well deserved! Hanso goes and gets a gift from under the tree. It features wrapping paper containing sketches of Hanso, Brynn, and the Obelisk. He hands it to Brynn, who opens it. Brynn: It’s a Brynnso Christmas Ornament! The Oracle pulls it out of the box. It is three-dimensional blown glass, featuring a little Brynn and Hanso decorating a tree that looks like the Obelisk. The Oracle: (excitedly) Oh wow, guys, I love it! And I knew the Obelisk would be dressed like a Christmas tree. The Oracle: I’m going to have to put this on the Obelisk when I get back to Tyrannia! Hanso: (matter-of-factly) So it’ll be Obelisk-ception? The Obelisk: Well, this was fun you two—I’ve always wanted a nice stage debut, and this show overdelivered! You’ve been a great audience! Shout out to the band! Band Leader Offstage: (shouting) You’re a better emcee than Hanso! Hanso sticks his tongue out at the band. Brynn giggles. The Obelisk waves to Brynn and Hanso and exits. Hanso goes to shut the door. Brynn: (semi-sarcastically) Remember a few years back when we said we were just going to keep that open all the time? Hanso: Yes, but it does get cold. Hanso goes to open the door. The Shop Wizard is revealed. Shop Wizard: (muttering) Speaking of cold. The Shop Wizard walks inside and goes near the fireplace. Hanso: (concerned) Are you OK Mr. Wizard? Shop Wizard: (upset) Do I LOOK OK?!? Brynn: (calmly) Hey, what’s wrong? Would you like some neggnog? Shop Wizard: (defiantly) No, I would not like some neggnog. My problems won’t go away with neggnog, hot cocoa, spiced apple tea, or whatever other Christmastime concoctions you’ve brewed! Shop Wizard: You see, Brynn, Hanso, let me tell you something about this time of year. The band starts playing a quick but minor, almost angry melody. The Shop Wizards rises to his feet. Shop Wizard: (in a heavy baritone) Ever since I took this job / To help scout user shops / I’ve granted every search request made / Until I wanted to drop! The Shop Wizard steps forward and takes center stage. Shop Wizard: (in a higher baritone, but a descending note pattern) But no more I say! / To this holiday! / Finding prices prime / For gifts at Christmastime! / I’m overworked and tired / And I’m not admired! / Millions of prices found / I feel so drowned! The band starts playing a steady and melancholy, but softer, melody. Shop Wizard: (baritone) I am through with Christmas / I have had enough / Just stop with gifts and presents / No—this ain’t a bluff. / With more gifts being given / More gifts beneath the tree / There’re gifts for everyone / For everyone but me. The band stops, and there’s an awkward silence. Hanso: (gaping in disbelief) Mr. Wizard… You’re a grinch! Shop Wizard: (confused) A what? Hanso: (hostilely) A grinch! A humbug! You hate Christmas! Brynn walks over to the Shop Wizard and puts an arm around him. Brynn: (compassionately) So that’s it—you’re just upset because, with all the demands this time of year for gift-finding, you’re feeling overworked and underappreciated. Is that it? Shop Wizard: I’ve had enough of Christmas and the Christmas spirit! Brynn looks at Hanso and snaps her fingers. Hanso’s hostile expression softens as he realizes her idea. Hanso goes to the tree to fetch a present. It is wrapped with Shop-Wizard-style wrapping paper, with Brynnso-related items superimposed. Hanso hands it to the Shop Wizard. Hanso: (apologetically) Sorry for calling you a grinch. Maybe we can’t change your mind about Christmas—but maybe this can. The Shop Wizard takes it. Shop Wizard: (in happy disbelief) You bought me a present? The Shop Wizard tears it open to reveal a Brynnso plushie set dressed like the Shop Wizard. Hanso: (filled with his brand of charismatic innocence) See Mr. Wizard? We’re dressed like you! You’re now a fashion icon! The Shop Wizard grins and hugs Hanso and Brynn. Shop Wizard: (warmly) Thanks so much you two! You’ve restored my faith in the good nature of Christmas! Hanso: (warmly) Anytime, Mr. Grin—Er, Wizard! Shop Wizard: (merrily) Anyway, I need to be getting back to the Marketplace now—I’ve been off my perch for too long! Later Brynnso! Hanso: (interrupting) Wait, I invited one more special guest! Brynn: (not amused) Who? When? Hanso: (nonchalantly) I just thought, in the interest of fairness to both sides, if we start with Kaia we’d better finish with a wraith. Brynn automatically reaches for her legendary sword of wraith smiting and wields it high. She and Hanso are back-to-back. Hanso: (defensively) Well, you can’t blame me for trying to be fair. Brynn: Oh yes I can! Brynn: At least I have my sword on me! That wraith would be a fool to come in here! Hanso: (matter-of-factly) Hey, I had a nice wraith-battling weapon too—until it was nerfed. An offstage, deep laughing is heard. Offstage Wraith: You’re right, Brynn—a fool I would be to mess with the likes of you and that halfwit thief. Brynn: (a little flattered, but then annoyed) Why, yes, but—hey! Only I’m allowed to talk to Hanso that way! Hanso: (a bit upset at Brynn) Hey! Offstage Wraith: So, rather than fight you, I’m just going to fog this set up! Offstage Wraith: (laughing) Good luck, Brynnso! The band starts playing some dramatic music. Brynn: (worried) What are we going to do, Hanso?!? Hanso: (cheerily) Don’t worry Brynn! Hanso reaches under the tree and grabs the last present. He tears off the purple wrap to reveal Wraith Ectoplasm, Claws, and Fur. Hanso: (filled with his brand of charismatic innocence) I thought the perfect gift for the Wraith would be some of its stuff back! Brynn: (desperately) How do we turn this into a potion? Hanso: (hesitantly) Ah… I did not think of that. Hanso and Brynn put the items together in a glass that had held neggnog. They start saying random spells. Meanwhile, the fog density increases and the band increases the tenseness of the music. Hanso: (trying random phrases) BOOM BOOM BOOM! At last, a potion appears where the ingredients once were. Hanso revels in the applause and bows, only to realize Fyora is standing at the door, her staff raised. Fyora: (merrily) Let’s just call this a Christmas miracle. Fyora winks at the audience. Fyora walks over to and picks up the glass, smashing it against the ground. The potion absorbs the fog and it disappears. James the Intern comes out and brushes the broken glass offstage, sighing. Fyora: I take it I’ve missed the guests again? Fyora: (relieved) Well, fighting the wraiths have one upside. Fyora: (majestically) Well it’s that part of the show where it’s time to thank the audience! Hanso: (excitedly) Indeed! Thus concludes the third Brynnso Christmas Special! Brynn: On behalf of the lovely Hanso, Fyora, all the guests this evening, and The Faerieland Craft Council… Goodnight, Neopia, and have a merry Christmas! All the guests get back on stage and bow and wave to the crowd. Christmas-themed music plays as an outro.